I currently run 3/4 businesses out of my ConvertKit account. This one (my VA business), ConvertKit Club, The Pillow Fort (positive living for young people with chronic illness) and marching stars zine distro. 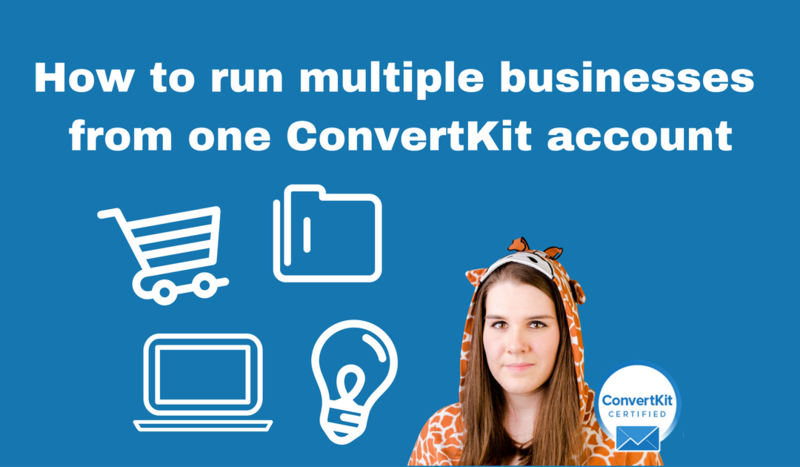 The trick to running multiple businesses from one ConvertKit account is to stay organised. This is a more advanced tutorial and if you’d like any help or my expert eyes on your business, don’t forget that I’m always available to help 1:1! Want to read ConvertKit’s official info on this? Click here. (They’re fine with it btw, but it’s at your own risk to engagement rates and account reputation). 1. Decide which business or project will be your default. Make sure the Email settings on your Account page are for your default business. Your default business will usually be the one you are sending most broadcasts too. In Step 1 we set up default settings for your entire ConvertKit account, however, it’s possible (and necessary in this case) to change them at the form and sequence level. You only need to change the ‘From’ name and email in a Form if you’re sending the Incentive/Double Opt-in email. To unsubscribe from Business A: click here. To unsubscribe from all Elizabeth Goddard’s businesses, including Business A, Business B and ______: click here. Obviously you can word it however you want, but you need to give them the option to stop hearing about a specific business, and you need to make it clear that one of the options will remove them from everything. Most people are not paying as much attention to our businesses as we may like, and they may not realise that 2 businesses/projects are being run by the same person. 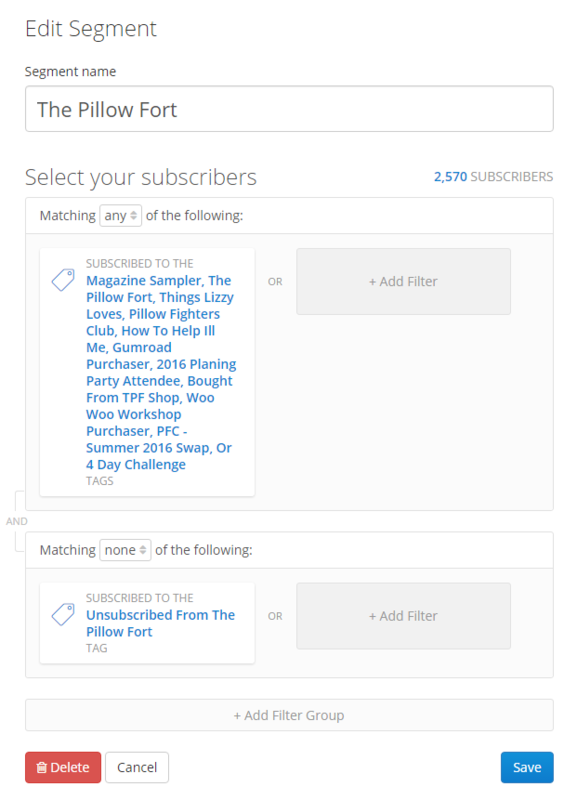 A lot of people are also used to how things like MailChimp or AWeber work, where they click to unsubscribe and they are removed from just that list, not everything. I recommend that you set up the automation rule to tag them ‘unsubscribed from Business A’ as opposed to removing tags. When we reach Step 5, the reason for this will become apparent. The ConvertKit guide to setting up custom unsubscribe links is here. However, if you’d like an in-depth video and PDF tutorial about setting up custom email templates, including custom unsubscribe links, check out my Template Toolkit. Each sequence needs a corresponding custom email template (with custom unsubscribe links) selected. You can do this in the Sequence settings. So if the sequence is for Business A, you need to select a template that has the option to unsubscribe from just Business A (followed by the option to unsubscribe from everything). If the sequence is for Business B, you need to select a template that has the option to unsubscribe from just Business B (followed by the option to unsubscribe from everything). You’re likely going to have a couple of tags for each business (e.g. free opt-in, course, client, etc), but creating a segment for each business will allow you to quickly see all subscribers who have any of the tags associated with that business. In each segment you want to include all tags, forms and sequences that are associated with that business. You will also want to exclude the tag of people who’ve unsubscribed from that particular business. The reason I say in Step 3 to tag people as having unsubscribed, as opposed to just removing a tag, is that you’ll likely have quite a lot of criteria for each segment (a mixture of tags and forms), and you’d need to remove all those tags and forms from people unsubscribing in order to completely remove them from the segment. It’s easier to just tag people as having unsubscribed from the business. It also allows you to see more clearly their ‘history’ on their subscriber profile page. As in Step 4, if you’re sending a Broadcast to Business A, you need to select a template for Business A that gives them the option to unsubscribe from just Business A emails. This is arguably the trickiest thing to remember when running multiple businesses/projects from one ConvertKit account. If you forget to change it, it will send the email ‘from’ the default name and email of your ConvertKit account (in Step 1). If you’ve set up custom domain sending (which is advisable), the domain you’ve set up will show for all emails sent from that account, regardless of the ‘From’ email address you’ve put for the broadcast or sequence. Depending on what your custom domain is, this could look kinda weird and be confusing. I’m not sure if it has any impact on the deliverability as the sending domain will be different to the ‘From’ email address domain. It’s not currently possible to select a custom email template for Incentive/Double Opt-in emails. It will use whatever is default in your ConvertKit account (which you can tell by the one that has the green tick). If you’re running multiple businesses in the same ConvertKit account, I recommend using the Text Only template as the default for your account, or a variation of that. It doesn’t matter too much because the Incentive/Double Opt-in email never has the full unsubscribe-from-everything link included, so you don’t risk losing people at this point. Occasionally you may want to clean your subscribers and remove everyone who has a ‘Unsubscribed from Business A’ but who is not part of any other Business segment. These are people who’ve opted to unsubscribe from Business A, but who aren’t receiving any other emails from you for other Businesses or Projects. You’re effectively paying for deadweight subscribers who you will never be emailing. I’d love for you to share in the comments if you run multiple businesses from the same ConvertKit account and any challenges you’ve found! If you’d like to learn more about using ConvertKit to its full potential, definitely check out ConvertKit Club, my monthly membership site! We cover loads of advanced uses of ConvertKit, and you’ll have my support to make it relevant to your specific business. Thanks for this tutorial, Elizabeth. It’s helpful. I just migrated to CK and mixed 2 businesses into one account…last night I was having doubts that I made the right decision and was thinking about separating them. After reading your post (found via the CK FB group), I realized it’s ok to do this! I followed your instructions and got my unsubscribes all set up…testing is done and it works. Woot and a big thank you!! Thanks for this post, Elizabeth, it’s become my bible on setting up my account the right way for all of my businesses. 1. Have ConvertKit changed this behaviour recently? 2. Does this mean that I can leave these links out of my generic template if I ALWAYS use a business-specific email for every other email I send, so the only time this one is used is for the incentive email? Or does that contravene the spam laws? Do you have a form I can test sign up to in order to see where it’s showing? In answer to your 2nd question, ConvertKit always requires you to use unsubscribe_link or unsubscribe_url in order for it to be a valid email template. If you try and save it without one of them, it will throw up an error and won’t let you save. Hi! 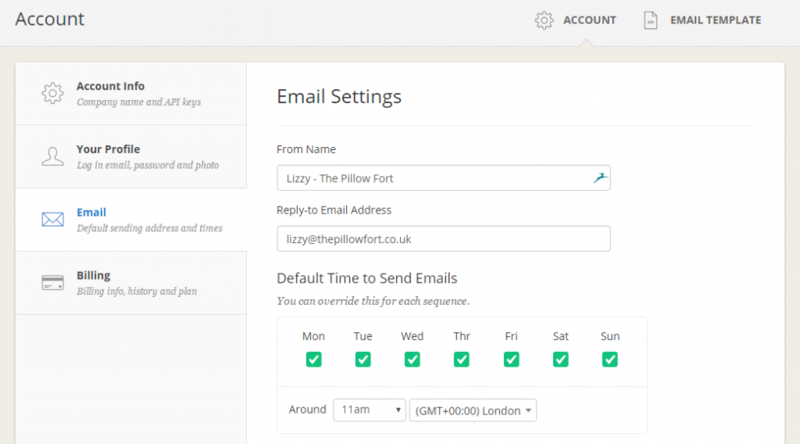 I created an email opt-in form for my 2nd business and am testing this on ConvertKit. When I click on the ‘confirm’ button, it’s re-routing me to my original business’s main website, even though in the form settings I have the URL set as my 2nd business’s website. Hmm, that doesn’t sound right. Are you super sure that the form you’re playing with is the correct form (for your 2nd business)? When you test sign up, is that subscriber showing in the correct form? Is it just a CK form or is it through Leadpages or something else (in which case it’d be Leadpages that’s controlling the thank you page)? So appreciate this info and depth of specific what and why and how to-do’s! Thanks for the informative article, you made it sound reasonable easy to juggle multiple sites (I have 2). I’ve been on the fence about whether to fork out for ConvertKit, partly because I have a tiny list, which doesn’t make any money yet (I ask myself, can I really afford to invest in this now???). But also because being based in the UK, I’m worried about the exorbitant exchange fees my bank is likely to charge for converting my pounds into US dollars with a monthly subscription to such as service. I noticed you are also UK based, so how to you cope with that? (and is it possible to pay for ConvertKit via PayPal, etc as all I see on their website is by card)? Hey Tim – glad you found this post helpful! I am indeed also in the UK 🙂 Unfortunately you can only pay for ConvertKit through a card right now. If it’s any help, the $29 level usually equates to about £24.50 payment going out my UK Natwest bank account. So, considering the exchange rate right now, that doesn’t seem to bad/like it’s had loads of fees added. What sort of audience do you have? If you sign up for ConvertKit and love it, then you can sign up as a ConvertKit affiliate and they’ll give you 30% recurring commission monthly for anyone who signs up through your link. That’s one way to offset costs. Doesn’t seem too bad, all things considered, but still feels like a lot to pay “up front” when I only have a tiny audience with few sales right now. That said, I’ve been struggling with my previous email providers (I’ve had more than one) and ConvertKit seems to do exactly what I want. Plus I’d probably end up migrating later on, when things may have got a lot more complicated! I’ll certainly consider using your link. Oh thank the stars for you! I had this exact question and you answered it flawlessly!